1 Start Access, then open the FoodStore database. 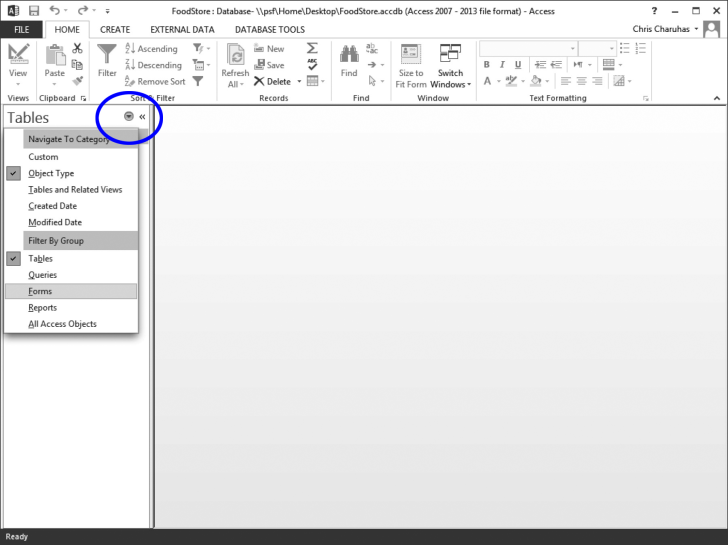 2 Click the drop-down arrow in the Navigation Pane. When the menu appears, click Forms.